Lucie talked passionately about her work and wide interests. She started by getting everyone to create an improvisation based around the London Underground map. Getting 70 students to create something new in the first 5 minutes of a lecture is no mean feat! It was a fairly strange feeling to start but quickly produced a quite amazing sound world as she moved us from zone 9 to zone 1. Lucie also spent time discussing Sound vs Music. Asking questions like when does a noise become music and encouraging the pupils to listen to recordings of various environments and explaining whether they were music or noises. It was amazing to hear the sound of an Australian train whizzing along on rails and to hear the music it creates. 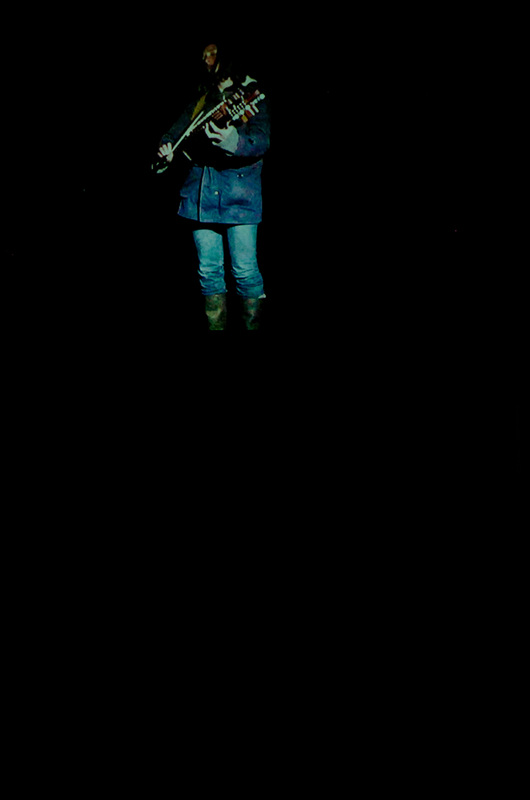 She explored echos at Inchindown, Scotland and showed us one of her compositions she recorded down there. To finish off with Lucie introduced us to music that she has created from themes in particular fractal patterns and looked at how you can build up musical patterns by displacing rhythms, the Kecak video she showed had some incredible interlocking textures and the scene of the people involved is quite stunningly kaleidoscopic and almost hypnotic. She questioned the meaning of our left to right music reading. The Kecak film is astonishing, with a group of people all chanting together, this inspired her to create a sound world with the audience. Lucie put together 3 rhythms in 7/4 which the audience of SAM summer students lapped up and mixed together with her band of musicians. 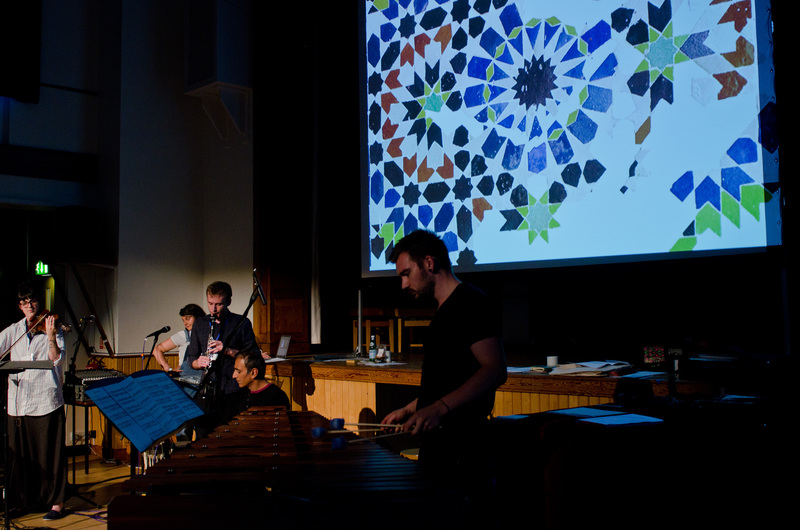 Lucie’s talk was followed by the extraordinary Juice vocal Ensemble with beat boxer and vocalist Majiker. Their performances always contain such a huge variety of music and compositional styles that it is impossible to fit them into a single genre. It was lovely to see former Sound and Music student Anna Disley-Simpson return (also as their group’s composer in residence) she also performed a piece with Juice which she wrote whilst at the summer school in 2013 which later won the BBC inspire young composers competition. 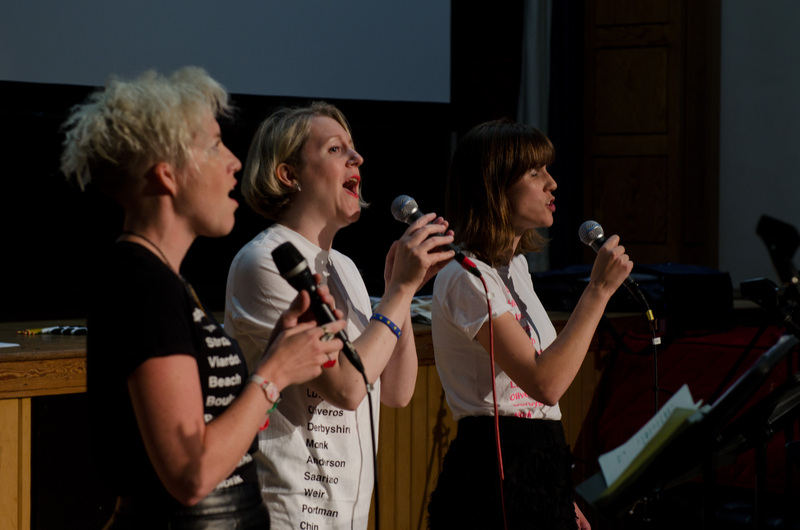 Juice champion female composers and were sporting their very fetching composer t-shirts. Needless to say I know that all the students (particularly those on both the vocal composition and world music courses) will have taken a huge amount of enthusiasm from this evenings concert. I know that I certainly left feeling inspired for the rest of the week.